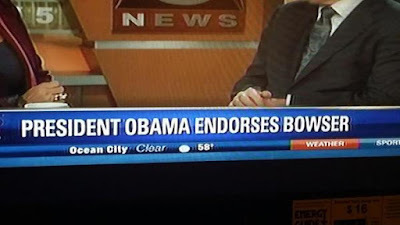 By LUDWIG VON KOOPA - Obama endorses KING DAD?!? But now... just... what is he doing? Just "Bowser"? Not, you know, King Bowser? Endorses King Dad? For what? Why? What's going on? I think I got an idea, and it's not anythin' good. We all have to be very careful about this. You ready? Read on. It's the usual case of America playing both sides in the conflict. If you know anything about history since the United States became a superpower, you'd know that America has been meddling in the affairs of foreign nations while proclaiming it's in America's interests to do so. See the current situation and its backstory in the Middle East for an example. It's a favourite trick. Buy out despots by showering them with foreign aid. ...Then simultaneously fund their enemies. But, you know, it's okay if they take that. It's not okay if they go for Koopa Kingdom. 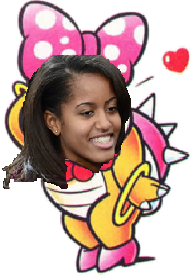 We must not allow Barack Hussein Obama to lull Koopa Kingdom into some sort of "Hey, that Obama guy endorsed me! He must be a good guy!" 'cause he's not. He's only there for two more years, but that doesn't mean he won't have a disciple right after him. And unless the United States elects a president that will have real change (like Rand Paul), whoever the next dude (or woman, and please forbid it being that witch) is shall continue whatever Obama started. 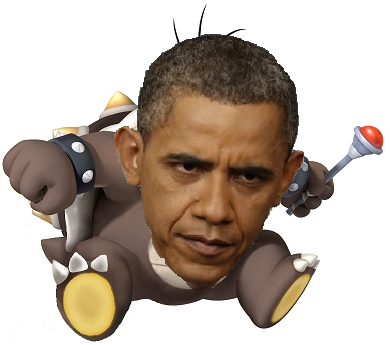 And if you doubt that having the United States as a plumber-friendly presence in Koopa life will be all that bad, observe how Obama has ravaged his own country. He rampaged the life of a private dude like George Zimmerman, and now poor Zimmerman is in hiding. Obama is shameless. "If I had a son, he'd look like Morton." The Mario Brothers will enjoy all of this, of course. But I don't think even they should trust Obama fully. Once he's done pillaging us, the Mushroom Kingdom is no doubt next. Based on my experience with the Mario Brothers, I can safely say humans are duplicitous bunch of punks. After all, everything Obama does is to exploit some DIVISION. So how about those segregated disenfranchised Goomba Village Goombas I joked about on Martin Luther King Jr. day? Obama will take that seriously and do some punitive measures on the Mushroom Kingdom! It'll be considered a civil rights violation! Oh, the United States has to liberate those poor, oppressed Goombas! That means invade a sovereign nation! What must Koopa Kingdom do now to stop this doomsday future of having Star World overrun by human scum? We must build a coalition of nations, pre-emptively strike the United States of America, and destroy it. And we must build a fantastic fleet of fighters, anti-air capabilities, and Doomships. After all, Obama loves air strikes. So while President Barack Hussein Obama is playing the foreign relations game, we'll go straight to the military. Then the humans will know to never cross us ever again! ...And that includes the Mario Brothers! They're all human! They all must perish! They're all in cahoots! And if we don't, they'll take our women! Wendy O. Bama! Ludwig is the High Prince of Koopa Kingdom (and his Miiverse NNID which you should totally Follow is PrinceOfKoopas), but he has no authority to authorize any action he has expressed here. He hopes that no human reads this commentary and sends it to the Americans. Then again, it's not like Obama reads his intelligence briefings anyway. If you would like to help the war effort, give your feedback! 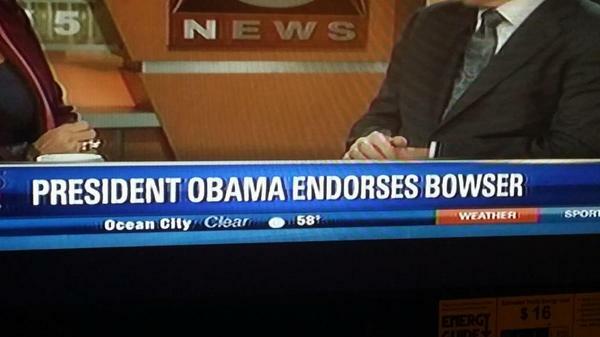 The Bowser endorsement saga has continuity... in Ebola! This article won Most Humourous KoopaTV Article of 2014! It seems like another Bowser is in the news... as Nintendo's VP of Sales? Part of what makes Koopa Kingdom's military so mighty are the Troopas. KoopaTV memorialises them here. Meanwhile, Mario endorses Hillary Clinton. What's going on? Morton is a rapping superstar, so Obama has a point. Thought that President Barack Hussein Obama's face on Morton was bad enough? Wait until you see this face morph. An article written fully as a koopa. This is another example of how liberal progressives understand the popular culture and inject their own ideas into it so to be associated with them. This is why they can say or do whatever they like without ethical or moral ground as long people see them as cool. Ludwig - I'd like to know your opinion if conservatives can be capable to doing the same thing with popular culture. Are conservatives capable of doing the same thing? Nah. We're screwed. We had our chance! And then we became un-cool. But given all of this leftist influence going on, I only see conservatism eroding and waning as time goes on. Say that 80% of homes successfully protect their kids from the cultural erosion in every generation. That's... not going to survive long-term! The guys who control what's cool pretty much bar entry into their cool club by people they deem non-cool — conservative people. So we have to make our own club, but that'll take a really coordinated effort. We have private schools, yeah, and we're working on expanding school choice around the nation. We have alternative media sources. That's something new we didn't have 20 years ago. Alternative creative media though? That's what KoopaTV is trying to pioneer at the moment, and unfortunately THEY are aware of it and constantly try to marginalize it. That's what the "call out" ritual is for. "Oh, YOU read KoopaTV? You're a RACIST." ...Or something. Replace KoopaTV with other forms of entertainment that supports traditional values. There's that new Pew Research data showing that liberals tend to defriend people over political differences. That's the marginalization. It's hard to start a movement if you're being bullied when you're really small. Not sure if that was the kind of response you were lookin' for, but thanks for the comment! Thank you for letting me know your thoughts. And I do agree with you since I suspected that to be our situation all along. We are screwed because liberal websites are a dime a dozen, finding conservative websites like yours, and a gaming centered one to boot are pretty rare and very much appreciated. Hey, if you've found any other sites like this, let me know! (And if you know conservative gamers, send 'em over here!) And thanks for the endorsement! ...Because I'm marketing this as the premier one. Gotta know the competition! I'll take that as a compliment to the article.